WASHINGTON (Reuters) — The United States has decided to deny Egypt $95.7 million in aid and to delay a further $195 million because of its failure to make progress on respecting human rights and democratic norms, two sources familiar with the matter said on Tuesday. The decision reflects a U.S. desire to continue security cooperation as well as frustration with Cairo's stance on civil liberties, notably a new law that regulates non-governmental organizations that is widely seen as part of a growing crackdown on dissent, said the sources, who spoke on condition of anonymity. U.S. officials were especially unhappy that Egyptian President Abdel Fattah al-Sisi in May allowed the NGO law to go into effect. Human rights groups and activists have said that it effectively bans their work and makes it harder for charities to operate. Egyptian officials had assured U.S. officials earlier this year that the law, which restricts NGO activity to developmental and social work and introduces jail terms of up to five years for non-compliance, would not go through, the sources said. Spokespeople for the White House and the State Department were not immediately available for comment. Egypt is an important Mideast partner for the United States because of its control of the Suez Canal and its border with Israel. The sources said the administration had decided to "reprogram" $65.7 million in fiscal year 2017 Foreign Military Financing funds (FMF) and $30 million in fiscal year 2016 Economic Support Fund (ESF) funds. "Reprogramming" means these funds would be used for other purposes and would not go to Egypt. The administration made a separate decision to withhold $195 million in fiscal year 2016 Foreign Military Financing funds which, had it not acted, would have expired and ceased to be available at the end of the current fiscal year on Sept. 30. The second decision also illustrated the administration's ambivalence toward Egypt. 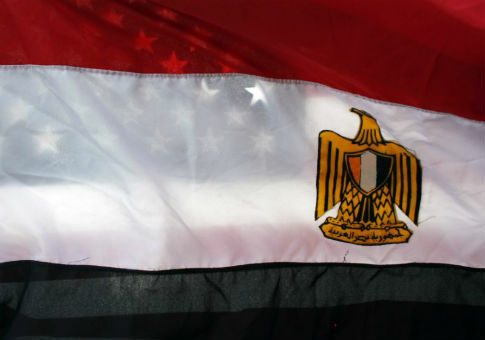 Under U.S. law, the administration is required to withhold 15 percent, or $195 million, of the $1.3 billion it gives Egypt annually in FMF funds unless it can certify that Cairo is making progress on advancing human rights and democracy. However, the administration can issue a national security waiver that allows the funds to go through. This year, the administration again decided it could not certify Egyptian progress on rights and it chose to issue the national security waiver but it is still going to withhold the $195 million. That money will now go into an account where it will be held pending Egyptian improvement on human rights and democracy. This means that Egypt could eventually get the money if its record on democracy and civil liberties improved. "Strengthened security cooperation with Egypt is important to U.S. national security," said one source, adding that U.S. Secretary of State Rex Tillerson felt "it was in the interests of the U.S. to exercise the waiver." "We remain concerned about Egypt's lack of progress in key areas, including human rights and the new NGO law," the source said. Egyptian rights activists have said they face the worst crackdown in their history under Sisi, accusing him of erasing freedoms won in the 2011 Arab Spring uprising that ended Hosni Mubarak's 30-year rule. Egyptian lawmakers have said the NGO law was needed to protect national security. The Egyptian government has long accused human rights groups of taking foreign funds to sow chaos, and several are facing investigation over their funding. This entry was posted in National Security and tagged Egypt, Human Rights. Bookmark the permalink.